To escape evils of the Civil War, Cyrus removes his small family and random war prisoners by way of hot air balloon. 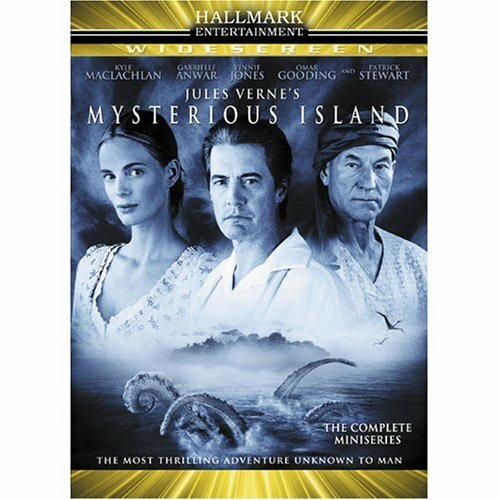 Once landing on an island, the group finds they are surrounded by danger from giant insects and gold-craving pirates. 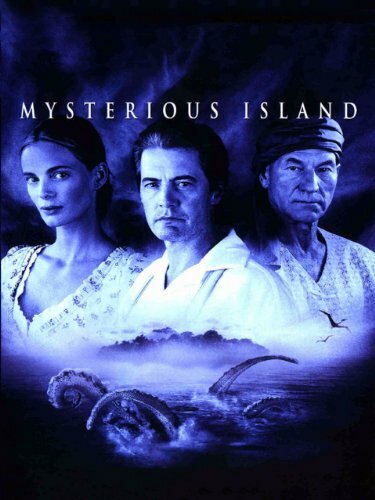 Turned away by the only safe haven on the island, owned by Captain Nemo, played by Patrick Stuart, the group is forced to find shelter and survive. This movie started out reasonably well, and it had a excellent cast.It is very well acted by the leads but all the pirates should have their actors guilds cards taken from them. The story is a classic, even when very artistic license is taken as in this production. So it had two positive points, the cast and the J.Verne story line. Sadly it is all down hill from there. I am taking into account that this is made for TV, but even so, the pirates were a joke and absolutely cartoon like. The special effects removed you out of the movie every time you started to get involved in it.They were pathetic. The effects are appalling, I remember some really bad blue screen stuff in the eighties, but it was like going back in time, cheap is the only word. The supporting actors are so wooden and the effects so plastic, I really cant find any endearing about this movie. My saving grace that it is a 2 part mini series, so I don't have to watch part 2. I have not read the book, so I cant comment on any or no similarities, all I can say that do what the others have said, read the book and or rent or buy the original. and please, what was with Vinnie Jones' accent.. I know now that life is too short.